A versatile winter wonder, the knee high boot can be worked in more ways than you might think. Go casual for a walk in the woods, add a heel with a skirt for work or dress knee highs up even further for a classy evening look. This post will show you how! Channel style icon Victoria Beckham and pop some flat knee highs on over skinnies for a casual weekend look. Perfect for hitting the shops or going for a Sunday walk, these brown leather and suede boots from Tu are ideal for keeping your outfit casual and feature a cute tassel detail on the back. What’s more, the leather makes them a particularly comfortable choice to be worn all weekend long. Pair with a simple shirt and cardigan combination for a timeless look that will never go out of style. While many of us wouldn’t think about wearing knee high boots for an evening out, they work a treat when paired with a pleated midi skirt for a fresh take on dressing for the occasion. As an alternative, you could rock a long side split skirt and show a bit of leg above your boots. These patchwork boots include an interesting mix of fabrics and textures, including suede and snakeskin effects. Wear them with a metallic skirt to tackle two trends in one go; you could also dress the boots and skirt down with simple black pieces during the day. 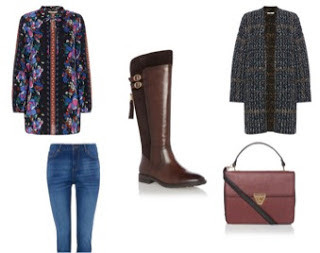 At this time of the year, you’ll probably want to add some layers to your workwear wardrobe. 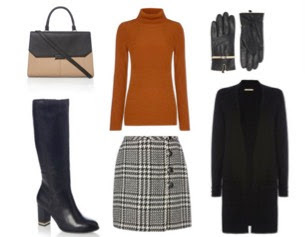 Donning tall winter boots and tights for work means you can go short with your skirt, while opting for a subtle heel makes the look even smarter. These ones have extra padded soles for extra comfort, even if you spend all day on your feet. Classic black leather boots are given a modern twist here, with a gold detail around the bottom of the heel. The outfit is rounded off with a high neck jumper in an autumn appropriate shade. When you want to look smart and edgy, coloured leather is hard to beat. This look works particularly well when you want to turn heads, whether you’re lunching with the ladies or on a date night. These dark red boots and grey leather skirt ooze style and quality, as well as being great value. Balance them out with this denim shirt to keep the look more casual or add some extra texture with on-trend faux fur and velvet. How would you style a pair of knee high boots? All of these looks you have put together are wonderful. I do always like the knee highs over skinnys look. I think pairing them with a long, side split skirt for a night out is a great idea also. 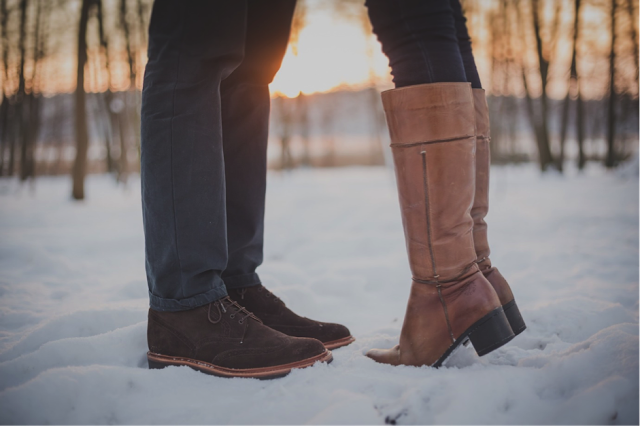 Lovely post – I really like knee-high boots but most of them don't fit over my calves- I have skinny angles and big calves! I need them elasticated I think! I like how you've paired the outfits – great style. I love a knee boot! I have some very expensive ones but they're really high so I dont get to wear them often, ha! Been wanting some knee high boots for absolutely ages now, and never found the right pair. Now I really want a pair!